Serving the Lebanese market for more than 20 years. 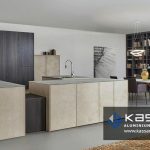 KassarCo aims to be the supplier of choice through providing exceptional line of products ranging from wood, aluminum, glass, and paints. With significant growth in the last years, we have increased our capabilities and now offer a large variety of services through various departments including kitchens and interior decoration contracting customized kitchens. Our company looks to continuously provide value and functionality through high quality materials, workmanship, and commitment that in turn meets our customers need for style.